Want to start a business in the new year? Want to get your current business more successful in 2018? 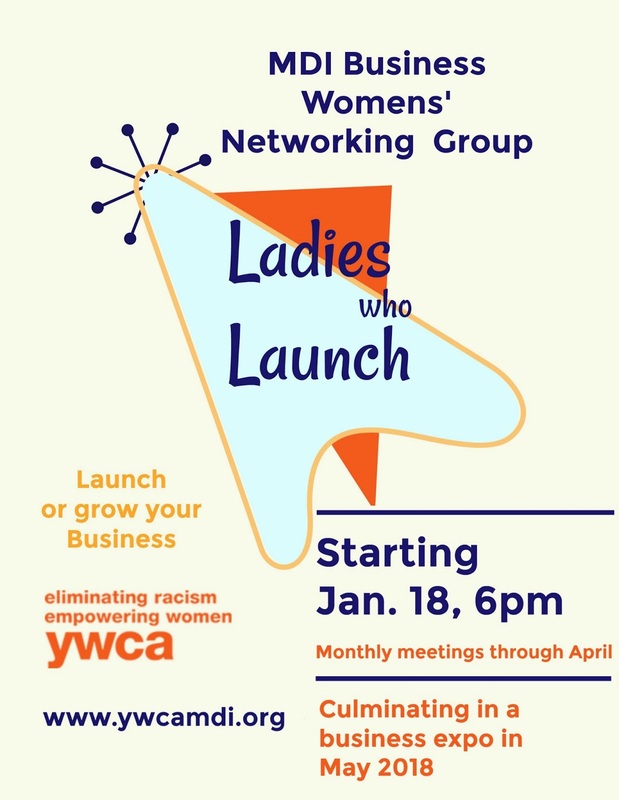 This networking group is geared at women on MDI who run or want to run businesses. This small group format will allow networking opportunities, support of members, and learning opportunities. The group will also be creating a women business expo in May as a group project. Make this commitment to yourself, your business, and our community to be a woman who launches! 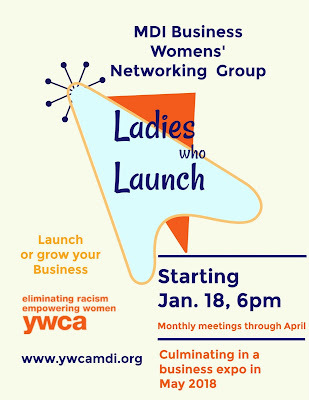 Ladies Who Launch will meet the third Thursday of the month from 6-8 pm at the YWCA. Women at all stages of business are invited to participate and come to the meetings with ideas of what they could accomplish with the support of others. Light snacks will be served at each meeting.